I’m always trying to expand my range of vegetarian recipes, mainly because it means I have to try and bit a bit braver with my flavours. I really need to try and break away from the meat being the main flavour of the meal. This lovely little dish takes about 15 minutes to make and about 40 to cook. It’s based on one from the BBC Good Food magazine, and it’s lush. Chop the onion and mushrooms, deseed and chop the mushrooms and, if you bought a whole pumpkin/squash, cut the flesh into chunks. 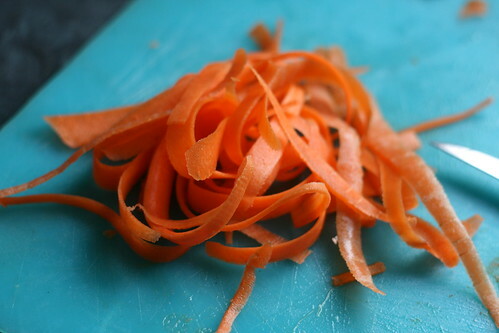 Take the carrots and repeatedly run a peeler over them until you end up with strips like this. Spray a large, deep frying pan with Fry Light and fry the onions til soft. 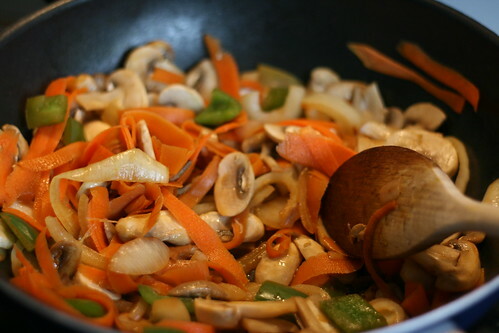 Add the green pepper, carrot and mushroom and fry for about five minutes. 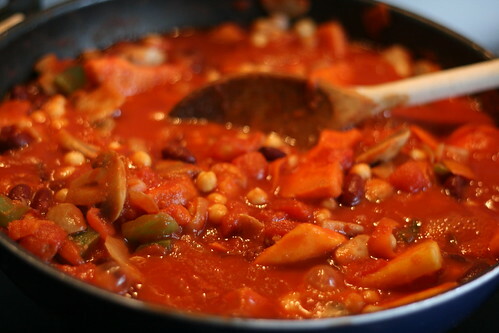 Add some pepper, half a teaspoon of chilli powder, a teaspoon of ground cumin and some black pepper. 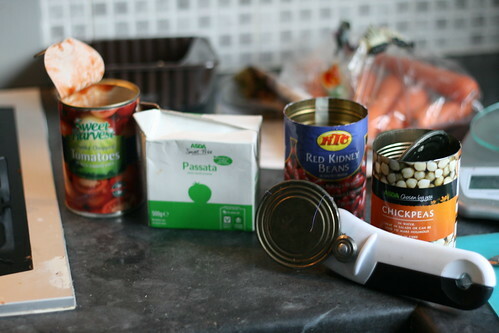 Stir well before pouring in the tomatoes and the two cans of beans you went for. 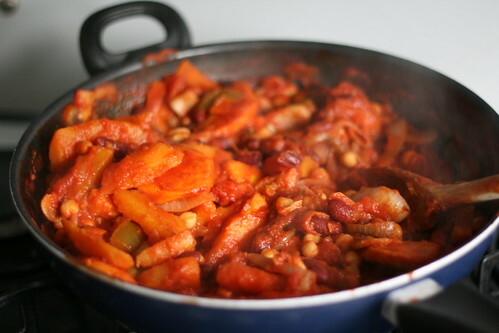 I used red kidney beans and chickpeas, but any combination would work. Then add the chunks of pumpkin/squash. You’ll end up with a large, wet mess. Leave it to simmer gently for 25 minutes. When you could back, you should have a far less wet mess. But still a mess. And, served with rice, it’s a very tasty mess too. 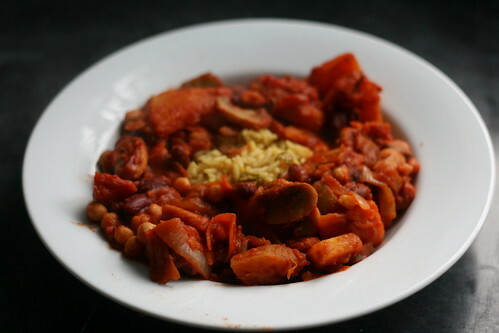 Quick, easy, very healthy, vegetarian and generally yum. Good recipe, methinks!